Celebrating, Empowering, Inspiring... the Women of Omaha. February/March 2011 Feature .................. 10 Arts For All, Inc. Send $9.95 for a one-year subscription (six issues) to P.O. Box 461208, Papillion, NE 68046-1208. www.heromaha.com Comments? Story Ideas? Send your letter to the editor: letters@ heromaha.com Her Magazine is a community magazine. A special community of women. Please enjoy and share your issue of Her. Our advertisers make Her possible. So make sure to thank and support them as often as you can. Do you know a woman role model, mentor, activist, leader, artist, business owner, model, adventurer, survivor, or volunteer? Let us know and we may share her story with the Her community of women. Her is your magazine; for the women of Metropolitan Omaha. Health Focus ................................. 23 Congenital Heart Defects A Letter from the Girl Scouts Spirit of Nebraska ................................... 28 Girl Scout Findings: The Impact of Social Networking A Letter from YWCA Omaha ........ 29 National Teen Dating Violence Awareness & Prevention Month Food With Flair ............................. 30 Bring Back the Cornish Game Hen! Now : check out HER Magazine online. Using flipbook technology to give you a whole new magazine reading experience. 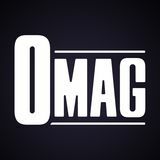 Owned and managed by Omaha Magazine, LTD Her Magazine is published bi-monthly by Omaha Magazine, LTD, P.O. Box 461208, Omaha, NE 68046. No whole or part of the contents herein may be reproduced without prior written permission of Omaha Magazine, LTD, excepting individually copyrighted articles and photographs. Unsolicited manuscripts are accepted, however no responsibility will be assumed for such solicitations. strong friendships…bonds that have helped them overcome life’s adversities. Truly inspiring! Two other great features definitely worth checking out—our profile on artist Jane Tan Creti, a dedicated iconographer who will begin teaching her craft at Joslyn Art Museum in March, and our Health Focus on congenital heart defects. Thirty-four-yearold patient Jody Leonard shares her life-long ordeal overcoming a heart defect, and doctors update us on how new advances are allowing many with this condition to live long, normal lives. Lastly, enjoy our photo feature on dream Valentine’s Day gifts. Our models are all local young women, wearing local fashions and jewelry and gifts provided by Omaha merchants. Behold all the beauty, and enjoy! , Celebrating g, Empowerin Inspiring... en the Wom of Omaha. Full photo story on page 16.
a, • Omah 118th CirCle • 5921 S.
Photo by Christian Behr. Makeup by Heather Dizmang. Story by John Gawley. Mary wears a beautiful blue metalic dress by Betsy & Adam, $160, Dillards, with matching Black Tahitian South Sea cultured pearls from Borsheims. Black Tahitian South Sea cultured pearl and round diamond drop earrings in 18k gold and black rhodium. $12,750, $8,475. 32” diamond and black Tahitian South Sea cultured pearl necklace. $43,250, $28,825. Two 18k white gold Tahitian South Sea multicolored cultured pearl and black diamond necklaces. $7,825, $5,225. Black Tahitian South Sea cultured pearl and diamond pendant set in 14k white gold. $895, $350. 18.5” black Tahitian South Sea cultured pearl and round brilliant diamond drop pendant on black diamond bead chain in 18k white gold and rhodium. $8,925, $5,950. Denotes Borsheims’ price. Dundee Gallery is where you’ll find just the right piece to express your personality – and your good taste! Located just six short blocks north of Dodge on Underwood. Thank You Omaha! for voting us your #1 home accessories store. Give the most precious gift of all... Life! Need a Speaker for your next event? Nebraska Organ Recovery System welcomes the opportunity to come and speak to your school, service group, or community organization about the benefits and opportunities of organ and tissue donation. Meet local quality professional singles of all ages. Locally owned and private organization. 402-573-0400 Whole house carpet cleaning $169.oo. (5 rooms and a hall, up to 1000 SF) Does not include furniture moving. All applicants are interviewed and screened with criminal background checks. We work with people who are stable and serious about dating. the roots, which will kill the plant, Cowles warns. “As soon as you have 10 to 12 sets of leaves, you can begin to harvest the plant,” Olson said. “It’s best to pinch the leaves back to where they come right from the stem. This promotes a stalkier, healthier plant.” Leaves can be used fresh, right from the plant, or left to dry out and used later. Olson said it’s best not to let the plants bloom, which means they are going into “seeding mode.” “Keep the plants contained. By pinching off, you keep them from becoming invasive and spreading too 1:40 PM much.” Finally, once the ground thaws and warms, you may want to move your herb garden outdoors. “Mother’s Day is typically the earliest you want to transplant outside. That’s when the amount of sun and heat is sufficient,” Olson said. In the meantime, enjoy all your homegrown goodness! Maybe even dig out a few new recipes to try with your fresh basil or cilantro. After all, summer barbeques and Memorial Day weekend are just a few short months away! Art is a little bit like air—necessary, but not fully understood. We all know that in order to live we need air to breathe; yet most of us do not appreciate the air that surrounds us. And we certainly do not understand the science behind breath, and how it correlates to our everyday existence. Many people are the same when it comes to the arts. They gleefully sing in the shower, color with their kids, and cry at the movies, yet they would never say they are artistic or have an affinity for the arts in general. Yet indeed they do. Judy Mallory appreciates air and art equally. As executive director of Arts For All, Inc., Mallory is on a mission to help everyone fall in love with the arts, and perhaps more importantly, to make it affordable. With that goal, Arts For All, Inc., offers classes celebrating all areas of art—dance, writing, music, art, drama, and even film. There are six locations in the metro area and all use donated space to teach children and adults of all ages the fine arts. Classes are lead by professional instructors, and at $6 per class, are affordable for families that might not have the money for private classes or expensive studios. Children can dance without having to spend money on frilly tutus, and during the summer kids can even learn the violin without having to rent an instrument. Mallory does not remember a time when she did not love music, or paintings, or beauty in general—so it is no surprise that eventually she would head an organization devoted to arts education. Her father was a photographer and played the violin, and there was constantly music playing in their home. Trips to the theater were common, and visits to museums were plentiful. When asked why she started Arts For All, Inc., Mallory says that years ago when she was a young student at UNO, she had a bit of a cultural revelation—that she needed to help students learn to see the world around them. “To me the world is so beautiful,” says Mallory. She realized that everything on earth is created, and says, ‘There really isn’t anything but art.’ Mallory also points out that when people say they are not creative that they are simply misguided. Mallory explains that science and music are related, and believes all things and ideas stem from sparks of creativity. For Mallory it is also important to note that research has shown that involvement in the arts on a regular basis improves school performance, develops leadership skills, and enhances self-esteem. Inna Kulagina wholeheartedly agrees. As an art teacher with Arts For All, Inc., Kulagina says, without sarcasm or even a bit of exaggeration, “Art is who I am, it makes me feel complete. Painting is, for me, like breathing.” With a master’s degree in painting, Kulagina is an expert in her field. She believes art is the language children value most and says, “Students in good art classes learn to think, to organize space, to make things functional.” She added, “You Inna Kulagina with son Alexander can learn facts, but to learn how to think artistically is the best way to look at things from different perspectives.” Of course Kulagina’s 6-year-old son Alexander is in every class possible, and she was very proud to be there when he had his very first piano and drum recitals last December. She was thrilled to see the progress he made in just one semester, and was equally excited to see her student’s artwork lining the recital walls like little murals. Elaine Oetjen is another teacher and parent who is grateful for Arts For All, Inc. Oetjen initially found comfort in dance when her 10-year-old daughter Lilyanne was diagnosed with leukemia. She signed up for belly dancing classes and soon dancing became a great way to escape, and to release tension. Oetjen first found Arts For All, Inc. when she was searching for a safe place for her daughter to be around other children—but eventually both mother and daughter became involved with the organization. Lilyanne fell in love with piano as a student in Mr. Robinson’s class, and Oetjen now teaches Middle Eastern dance. Classes gave both of them something to look forward to, and Oetjen is forever grateful for Mr. Robinson, who since day one has treated her daughter with kindness and compassion. “When I see her do piano, it makes me feel good to see that she is here, she is alive, she is a normal kid,” says Oetjen. It turns out we all appreciate art in different ways. Some are born artists, some cannot breath without it, and some throw themselves into new experiences when life throws them a curveball. But in the end, we all love art—we just need the opportunity to try new things, the confidence to shine, and teachers who are ready and willing to inspire us with their passion. For information on classes and times visit www.artsforallinc.com. Skidding, sliding, and slipping are all common this time of year. Unfortunately that can be followed by a bump or even a crash! Auto accidents are a pain for everyone, but knowing what to do in an accident can ease some of the stress. The first thing to do is report the accident to the police. If there are no injuries, go ahead and begin to exchange information with the other driver. Make sure to get their personal information, along with the type of vehicle, and all insurance information. The next thing to do is to determine if your vehicle is drivable. If not, the police can call a tow truck and you should have your vehicle towed to the shop of your choice. After the police have finished at the accident scene, if the vehicle is drivable, you will want to call the insurance company of the driver at fault. Depending upon the insurance company, they may want you to go to their “drive thru” claim place, or they may make arrangements to come to your vehicle to do an estimate. Another option is that they may want you to take it to a body shop for an estimate. The most important thing to know now is that you are the vehicle owner and no one can tell you where to have your vehicle repaired. There is no law that requires you to have your vehicle repaired where your insurance company recommends. It is always your choice. When determining where you have your repairs done, there are some things that you may want to take into consideration. What type of warranty does the shop offer? Whether or not your insurance has a warranty -- it is the shop that is ultimately responsible for the repairs. Also, do the technicians at the shop receive ongoing training? Is the shop involved nationally, keeping up with all the newest procedures and technologies? The best thing to do before you are involved in an accident is to do your research and know where you will take your vehicle if the unexpected happens. Please visit www.dingmans.com for more information on what to do in case of an accident. Jane Tan Creti will teach a six-week introductory Icon Writing Workshop at Joslyn Art Museum beginning March 5. In May, an intensive workshop will be offered by Master Vladislav Andrejev. Both are offered in conjunction with a major exhibition, The Glory of Ukraine, at Joslyn Feb.12 through May 8. For more information, contact the museum, 342-3300. Tan Creti’s work can be seen at All Saints Epicsopal Church, Church of the Resurrection, and Trinity Cathedral. An exhibition is planned for 2012 at Sunderland Gallery, Saint Cecilia’s Cathedral Cultural Center. No hazardous chemicals. Safe®for our water, Fashion Cleaner’s GreenEarth cleaning processsoil usesand no air. harsh chemicals, leaves no odors and is gentler on your clothing. Visit fashioncleaners.com to learn more. of two, said. “We’re always up for trying, even if we might fail spectacularly, and we don’t really care because we are going to have a good time doing it.” Alston, who works for the Department of Defense reviewing grants for breast cancer research, said what Real Chicks is about for her is “just truly living, experiencing, being alive.” Alston knows what it means to feel alive. She’s a 2007 breast cancer survivor who is currently battling stage 4 cancer. Alston had a prognosis which only gave her until September 2010, and is still holding strong, despite the cancer spreading to her brain, lungs and pelvis. “She’s such a fighter and it is so inspiring. When I am out on a run and I am struggling, Eleanor is the person I think of,” Romeo said. The mother of three young girls, Alston said the support from Real Chicks has made a huge impact on her, and she’s staying positive, tackling her cancer like she would any other challenge. “All that stuff I was doing with my training ordinarily, that’s how I am with my cancer,” Alston said. “I’m not taking it lying down. I am setting goals. I am active, I am doing everything I can to fight it. And these guys are all there.” For the members, Real Chicks Hike has become a movement, symbolizing solidarity, identity, friendship and empowerment. They are always looking for new members, for more women to discover their love of the outdoors. “We’re all capable of so much, and I think a lot of women in general don’t realize that,” member Stirts said. “We’re not afraid to tackle things, even though we might fail. It’s a reaching your potential thing. It’s a good feeling knowing that you took a risk.” For more information on Real Chicks Hike and their schedule of events, contact Rachel at Backwoods at 345-0303, or become a friend of Real Chicks HIke on Facebook. After spontaneous dance lessons in the suite of the Magnolia, Abby slips into a long-sleeve Cinder dress from BCBG MAXAZRIA, Dillards, $108, before going for a stroll through the courtyard. A romantic evening downtown and an overnight stay at a luxurious hotel are just what this busy couple needs to refresh their love. From classic to trendy, Dillards has their finger on the pulse of what’s fashionably hot. With the only BCBG boutique store at the Oak View Mall inside Dillards, you need not go any place else for your romantic Valentine’s Day look. A piece of jewelry, an elegant dinner, a nice bottle of wine and a bouquet of flowers remain atop the list of most women’s dream Valentine’s Day gifts. Now show your man how much you appreciate being treated like a princess. Nothing is more manly than a motorcycle. Surprise him with the bike of his dreams from Dillon Brothers. Shelby rides a Candy Red/Raven 2011 Yamaha YZF-R1, $13,590. And don’t forget all the hot outfits you’ll be able to wear sitting behind your man when he’s speeding down the road. Black Harley Davidson hat, $25. Harley Davidson black leather jacket, $250. Harley-Davidson Maribel black leather tall Slouch Boot, $199. The old saying still holds true: Diamonds are a girl’s best friend. Clair is seen here in a stunning white halter dress from BCBG MAXAZRIA, $318, from Dillards, while draped in jewels from Borsheims. The most stunning baubles are matched Fancy Intense Yellow diamond earrings totaling 14.10 carats set in platinum and 18k yellow gold surrounded by half mooncut white diamonds. $715,000, $498,000. Roberto Coin “Tiny Treasure” key pendant in 18k yellow and white gold. Each Roberto Coin piece features a ruby worn next to the skin, which brings the wearer good luck and fortune. $580. Fancy-color diamond pendant that also doubles as a brooch. In 18k yellow gold featuring nine fancy color and fancy shape diamonds totaling over 10 carats surround by 1.02 carats of vivid yellow micro-pave diamonds. $340,000. $266,000. Roberto Coin 64” Diamonds by the Yard chain in 18k yellow gold. Each Roberto Coin piece features a ruby worn next to the skin, which brings the wearer good luck and fortune. $14,080. 18k yellow gold multi-shape light yellow diamond bracelet with 15 diamonds totaling over 20 carats. $220,000. $172,000. Platinum and 18k yellow gold bracelet featuring over 11.68 carats of fancy yellow princess and round diamonds, surrounded by white diamonds. $80,000. Platinum and 18k yellow gold oval ring featuring over fiver carats of multi-shape fancy vivid yellow and white diamonds. $45,000. $31,050. Yellow and orange sapphire brooch set in 14k white gold with diamonds and chocolate South Sea cultured pearl. $7,950. $5,295. Denotes Borsheims price. Vanquish those Spider Veins by Summer Warm weather fashions are ready for you…Are you ready for them? If you’re someone who is prone to spider veins, you may not be very excited about donning the season’s leg-baring fashions, including skirts, shorts and swimsuits. The tiny, pinkish veins that sometimes appear in the topmost layer of skin can come from a variety of causes, but in the majority of cases they are hereditary. If one or both of your parents had spider veins, chances are good that you will too. If you are prone to spider veins, they can be exacerbated by pregnancy, or by standing for long periods of time. According to Dr. Attila Csordas of Creighton Vein Center, those that are susceptible to spider veins often have them result from even by the slightest skin irritation: friction on the skin, or extreme and rapid temperature changes. “Even a mosquito bite can give you spider veins,” Csordas says. “Whenever the skin is stretched a little bit more, around the knee…around the hip, you have more spider veins.” While they can appear anywhere on the body, spider veins most commonly develop on the legs. This is because veins-the vessels that carry deoxygenated blood back up to the heart-must work against gravity, putting added strain on the veins. The walls of the veins weaken and become more visible through the skin. The good news is that they can be easily corrected. Injection sclerotherapy is an outpatient procedure in which Sotradecol, an FDA-approved solution, is injected into the problem veins using a tiny needle. “The medicine breaks down the lining to the wall of the vein so that the vein can dissolve and go away,” explains Jackie Torpy of Omaha’s Totally Vein. The process generally involves four to six procedures given at three–or–four week intervals. “It’s about a six-month process,” says Torpy. While not life-threatening or even painful, spider veins are often a source of distress for those who experience them. Fortunately, now is a great time to seek treatment. Soon you’ll feel much more confident about wearing that flirty skirt or sporting your new swimsuit, and showing off those lovely legs! Staff just back from the Bariatric Conference and we’re excited to share the latest products with you! Begin a weight loss program & receive your choice of one (1) box of Latisee or one (1) box of Professional Liquid Smile. Join the Y today and begin creating meaningful change, not just for you, but also for your community. Visit your local Y or purchase your membership online at www.metroymca.org. Purchase Botox or Juvederm and receive one (1) box of Latisee (grows eyelashes longer, darker and fuller). Dr. Passer & Linda Layton just back from the Anti-Aging Conference. Call today for a introduction to a new skin care Line, Nelly De Vuyst. Areas available to board certified physicians. *Results based on a random sample of 58 men and 61 women on our medically prescribed diet. Results may vary by center. Programs available for 18 years and older. everyone else. We try not to let the heart limit their choices.” Leonard didn’t let her heart condition set limits for her. From the beginning, she was determined to be just like everyone else, she says. In high school, she participated in many extracurricular activities including the marching band and student government. She began running daily in college and went on to become a full-time registered nurse. At age 29, she gave birth to her first child. “I’ve never given myself any restrictions,” says Leonard. “I think the reason I’ve done so well is because I am strong-willed and try to be just like everyone else.” Leonard’s pregnancy, however, was not without complications. Her heart valve became infected and she needed continuous intravenous antibiotics during the last trimester. “I was very weak and spent most of the time in the hospital,” she says. Her new baby daughter was born at 36 weeks and will be her only child, she says. “My pregnancy was too risky,” she says. “I can’t have another.” The risks associated with becoming pregnant vary depending on the type of congenital heart disease a person has. “For most women with single ventricles, we strongly recommend not getting pregnant because the risks are so high for maternal complications and mortality,” says Dr. Kugler. Struggling in these difficult economic times? Come check out our new arrivals for Spring! Call us for free confidential counseling if you are behind in your mortgage payment, credit card payments, or struggling to make ends meet. We are your local community service agency. Let us help you beat the winter blues by shaping up for sunshine! New Private Rooms in Our Level III NICU We’ve been busy preparing for a special arrival – our new Level III NICU. Now with 32 private suites, each one is equipped with the latest technology and is designed to maximize each baby’s development. With enough room for parents and family members, they can remain at the baby’s bedside during their stay and actively participate in the baby’s care. And once families are nearing discharge, they can choose to stay in transitional rooms to help them prepare for life at home while still having access to physicians and nurses. Our new Level III NICU is just another way Alegent Health cares for new beginnings from the beginning. Alegent Health is a faith-based health ministry sponsored by Catholic Health Initiatives and Immanuel. More than half of the girls surveyed said they are getting involved in community service due to social networking. into trouble with parents and teachers (40 percent). In contrast, and perhaps one of the most refreshing findings of the study is that the vast majority of girls prefer face-to-face communication. Ninety-two percent would give up all of their social networking friends if it meant keeping their best friend. The study also finds that social networking provides an avenue for girls to maintain better relationships and feel more connected to causes they care about. Fifty-six percent of girls agree that social networking helps them feel closer to their friends, and 36 percent think that social networks have increased the quality of their relationships. Fifty-two percent of girls have gotten involved in a cause they care about through a social network. The Girl Scout Research Institute (GSRI), formed in 2000, is a vital extension of Girl Scouts of the USA’s commitment to addressing the complex and ever-changing needs of girls. Comprised of dedicated staff and advisors who are experts in child development, academia, government, business, and the not-for-profit sector, the institute conducts groundbreaking studies, releases critical facts and findings, and provides resources essential for the advancement of the well-being and safety of girls living in today’s world. For more information about the GSRI and their findings, visit: girlscouts.org/ research/. In Every issue, Her Magazine brings you an important message from the girl scouts spirit of nebraska. You can help, get involved! Unlimited: • One in five teens report being hit, slapped or punched by a boyfriend or girlfriend. • One third worry about their physical safety. • A quarter say they’ve been isolated from their family and friends, and more than half say they’ve compromised their own beliefs to please a partner. This highlights the need to educate our youth about healthy relationships, raises awareness among parents and other caregivers, and provides communities with an important opportunity to work together to prevent the ongoing cycle of abuse. The YWCA Omaha has been partnering with our local colleges, universities and pre-K through high schools in educating, raising awareness as well as in providing intervention services. Porter is one of the many teens who finally seek help and break the cycle. “I developed skills which built up my self-esteem and I learned how to believe in myself and my capabilities,” she said. “I came to recognize and believe that I am a strong and intelligent young woman who is capable of achieving my hopes and dreams.” “The YWCA gave me a voice, and I now use my voice to bring awareness and hope to help the youth in this community. Today I can proudly say, I made it and I am a survivor,” Porter said. Today, Porter is focused on completion of her Associate’s degree at Metro Community College and will transfer to the University of Nebraska at Omaha (UNO) to earn her Bachelor of Arts in Theater. There is much you can do educate yourself on the warning signs of teen dating violence and the resources available to you. Visit the YWCA at www.ywcaomaha.edu. Within us, lays the simple answer to all the questions we are looking for. Within us, we know already how to create the life we really want. Sometimes we just need to be reminded. Every issue, Her Magazine brings you an important message from YWCA Omaha. you can help, get involved! Bring Back the Cornish Game Hen! OK, how long has it been since you made Cornish Game Hens? If you’re like me, too long. They’re easy to make, reasonable in cost, they taste great, and they always make a meal special. Game Hens also can create a romantic dinner for two--with your table set with its best, candlelight and a few flowers. Of course, music is a must! Start out with your favorite salad, then a serve perfectly prepared hens, paired with sides of rice and green beans. Add sparkling wine, and for dessert, a chocolate chip sponge cake--light and delicious. This also makes a wonderful company meal. Just double the recipe, watch the store for when they go on sale, and pick them up and store in the freezer. They’ll be always at the ready, since we’ve rediscovered the Cornish Game Hen. Orange Cornish Game Hens Servings: 8 2 Cornish Game Hens, cut in half Sea salt and black pepper 1 teaspoon thyme 2 oranges Grapeseed oil, spray 1 cup low-sodium chicken broth 2 tablespoons grand Marnier 1 teaspoon cornstarch, mixed in water 1 tablespoon parsley, chopped 1. Preheat oven to 350 degrees. Wash and pat dry the Cornish Game Hens. Sprinkle with salt and pepper and thyme. Place on baking sheet. 2. Cut one of the oranges in fourths. Squeeze juice into sauce pan, add the chicken broth and bring to a boil. 3. Place the orange sections that you squeezed the juice from under each hen half. Place hens in the oven for 30 min. Then turn up the heat to 400 degrees for 10 min. Take out and let rest (internal temperature should be 170 degrees when you take it out of the oven.) 4. Reduce the sauce to half the volume, add grand mariner and the cornstarch mixture and stir until sauce is thickened. Remove from heat. 5. To serve, arrange the hen on a plate top with sauce, then garnish with orange slices and chopped parsley. Per Serving: 380 Calories; 24g Fat (59.8% calories from fat); 32g Protein; 4g Carbohydrate; trace Dietary Fiber; 170mg Cholesterol; 232mg Sodium. Exchanges: 0 Grain(Starch); 4 1/2 Lean Meat; 2 1/2 Fat. CHOCOLATE CHIP SPONGE CAKE Servings: 8 A very simple variation on the basic sponge cake, however it is guaranteed to put big smiles on the faces of chocolate lovers. You can also add ½ of chopped nuts, just fold them in at the end. 5 egg whites 2 eggs ½ cup sugar 2 teaspoon pure vanilla extract 1 teaspoon almond extract ¼ cup water 1 cup unbleached flour 1 teaspoon baking powder ¼ teaspoon salt ½ cup mini chocolate chips 70% cocoa In a clean bowl, beat egg whites, gradually adding ¼ cup sugar until stiff peaks form, set aside. Beat eggs with ¼ cup sugar, vanilla, almond extract and water. Sift flour and baking powder on top of egg mixture, mixing well. Fold 1 cup of beaten egg whites into flour mixture and mix to lighten. Pour batter into remaining beaten egg whites and fold. Gently fold in chocolate chips. Spray a 10-inch tube pan with a nonstick spray, pour cake batter into pan, and bake in a preheated oven at 350 degrees for 35 minutes. Let cool 45 minutes before serving. Per Serving (excluding unknown items): 198 Calories; 5g Fat (23.8% calories from fat); 6g Protein; 33g Carbohydrate; 1g Dietary Fiber; 53mg Cholesterol; 173mg Sodium. Exchanges: 1/2 Grain(Starch); 1/2 Lean Meat; 1 Fat; 1 1/2 Other Carbohydrates.